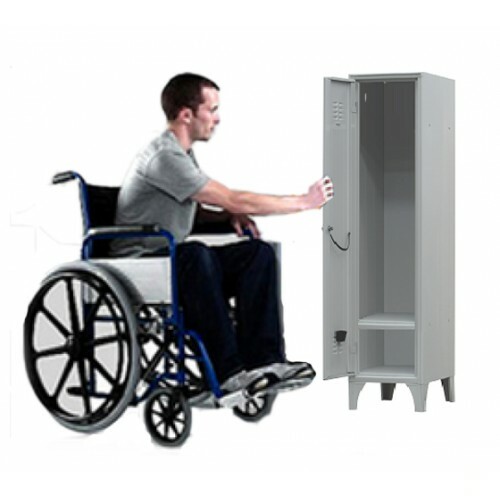 Castellani Shop sells online dressing dirty clean lockers, lockers for employees, locker room lockers under asl, stacked cabinets and multi dressing room, built-in boxes and wooden dressing closets. Wide online selection of cabinets to block the locker room, dressing room for benches, changing room lockers Outdoor, lockers stainless steel. Various types of dressing cabinets in various sizes and in various colors, by dressing closets with metal structure on fixed feet. 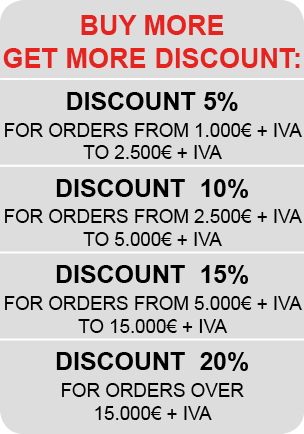 On-line sale of lockers dressing ready for delivery, dressing closets to block employees, painted cabinets for dressing, dressing cabinets and lockers under asl partition with clean dirt inside. 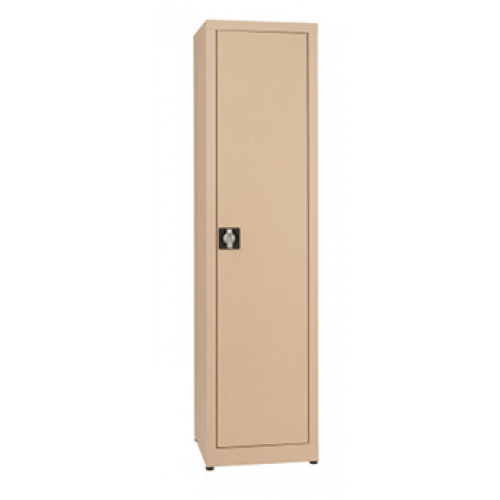 Lockers for employees with instant, various types of cabinets in stock in various colors and in various sizes, with interior closets for locker rooms, cabinets employees with divider dirty and clean. Lockers locker without partition dirty clean standard, metal locker cabinets with a depth of 35 cm made of painted sheet steel, lockers for employees in monoblock. 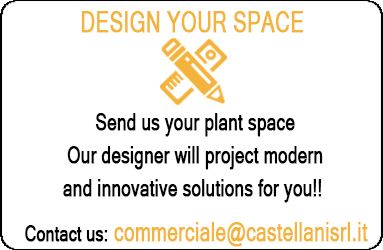 Castellani Shop offers equipment solutions dressing areas with metal cabinets with reduced depth to meet the needs of space that can be created within the workplace. 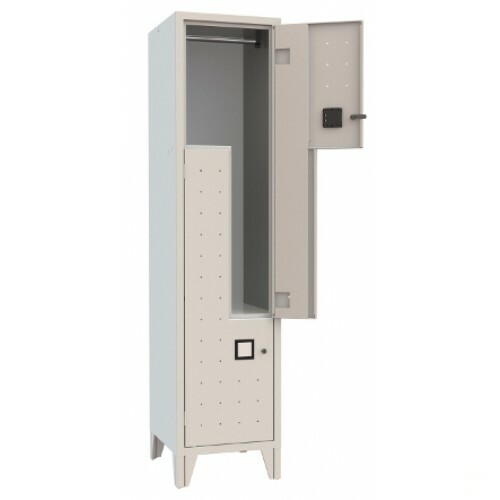 This solution allows to have available for sale online and lockers for dressing in accordance asl, the internal clean dirty partition wall can be installed anyway. 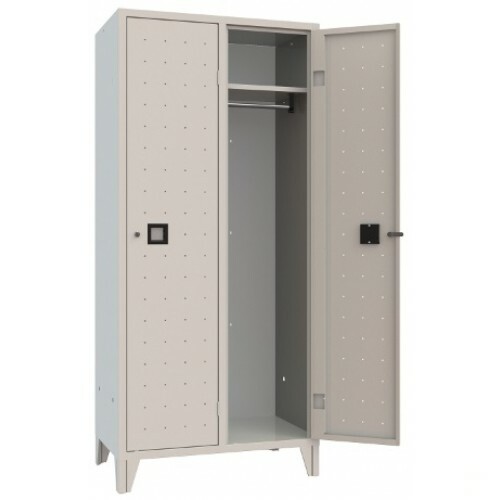 Online direct sales of cabinets dressing inside depth 50 cm, lockers for changing room with painted metal structure, single-seat dressing closets, two-seater, three-seater. 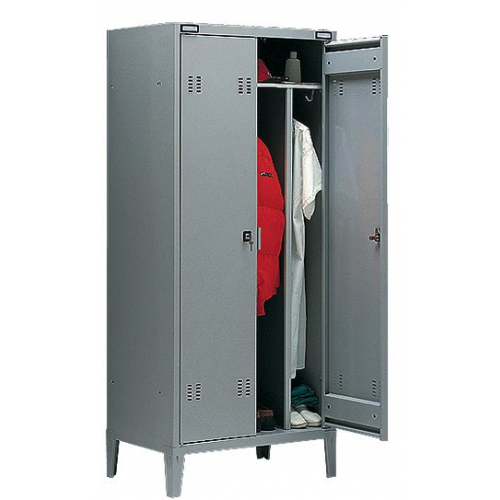 Various types of lockers with depth 50 cm internal compartments to allow a good use of the interior. These types of cupboards are all mounted, only to be placed. 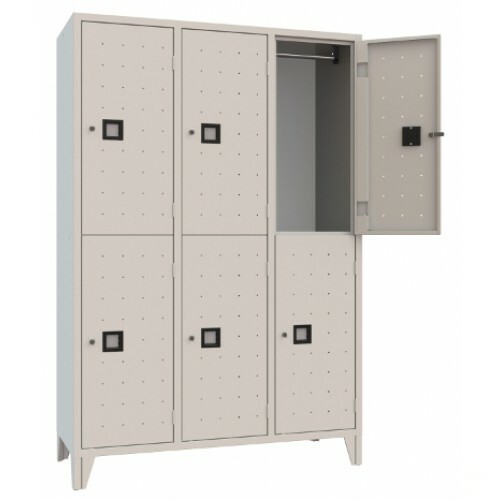 Wide availability of lockers in accordance with ASL for sale online, for lockers that reflect the current regulations asl, lockers for employees made of painted metal sheet. Many products in the lockers catalog partition clean dirt, metal divider placed in each compartment so you can create the differentiation between clothing used for work and after-work clean clothing. These types of cabinets are fitted with doors and closing with lock or padlock. For sale multi dressing or overlapping cabinets in various combinations with separate compartments from each other, each with a special lock. The rooms of multispogliatoio cabinets are much smaller than the rooms for classic dressing cabinets, overlapping cabinets, however, they have the advantage of reducing the overall size of the cabinets. It is fitted standard ASL that may have the internal partition clean dirt. All these cabinets are made of painted sheet steel and are produced in monoblock version, that is, they do not require installation. Available online lockers in stainless steel, cabinets for dressing Recommended stainless steel for the catering, pastry, kitchen. 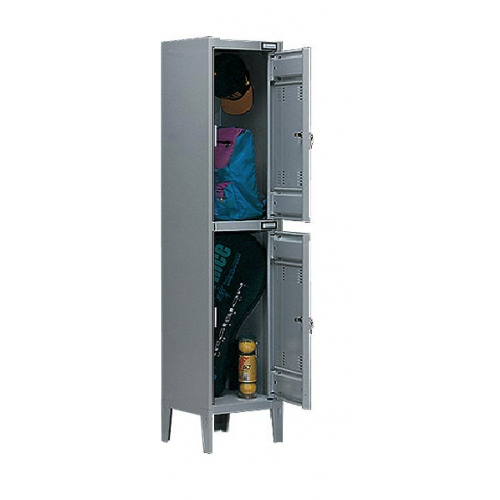 It is locker cabinets in steel AISI 304 or AISI 430. These lockers for employees have various sizes, are guaranteed against rust for 10 years and comply with HACCP regulations. These cabinets are manufactured in monoblock and guarantee structural solidity as they are made with Italian iron materials. 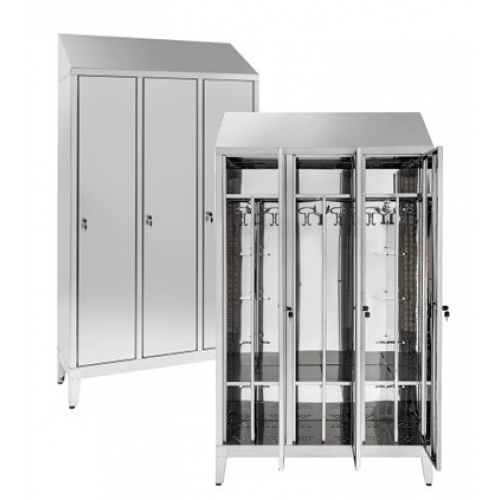 These lockers are primarily indicated for use in open areas and generally subject to the weather and atmospheric agents, these types of lockers in fact are realizzaziti in treated steel sheet externally with a zinc Login process. Lockers for dressing zinc are warranted against rust and reflect national standards HACCP, they are placed on adjustable feet. Style solution areas dressing room with lockers for employees to Z or L in order to make best use of the space. 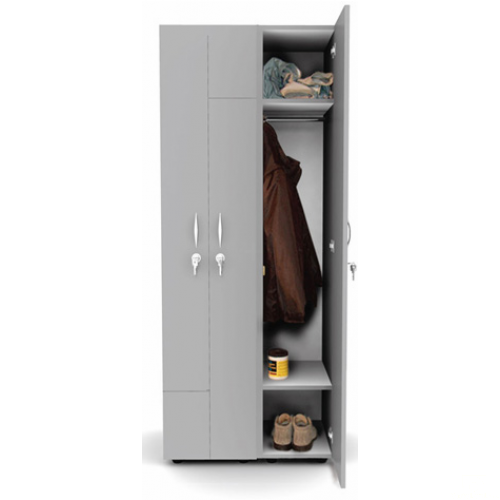 The locker cabinets save space have a particular shape to enable the smooth use of the interior cabinet. These types of cabinets are made using sheet steel, are predisposed already mounted and externally presenting with a different shape than normal classical dressing closets. Each cabinet dressing room is still closed with hinged door and lock. 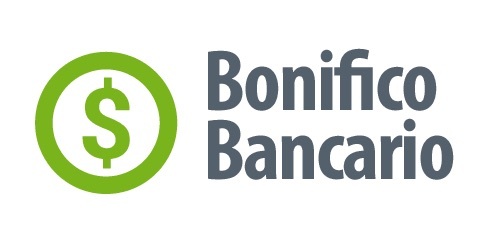 Direct sale of special lockers, changing room lockers for disabled, changing room lockers for public bodies, dressing cabinets solutions to the Fire Department for the Armed Forces, for the Carabinieri to the Municipal Police. 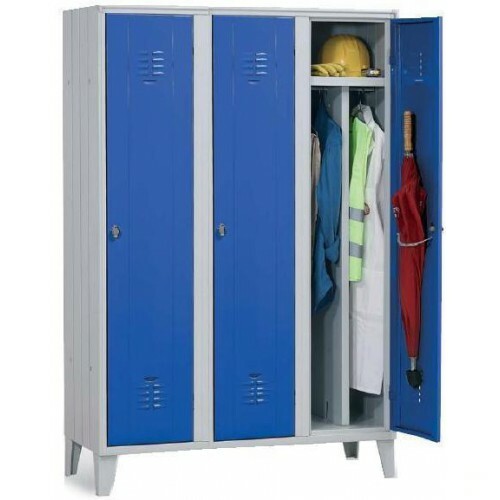 Special lockers are lockers that have internal and external features not standard, it is in fact cabinets dressing for categories of persons and of particular persons. Wardrobes wooden dressing room, lockers with doors and wood structure, lockers for employees with metal closure handle. Direct sale of lockers with partition dirty clean, low-shelf shoe rack, shelf upper door objects, internal divider for dividing the garments. These cabinets appear aesthetically different than the metal lockers because they have a nicer and more refined. Benches for locker with wooden staves and benches dressing room with colored aluminum slats, solutions with benches and hangers with wooden slats or with aluminum slats. 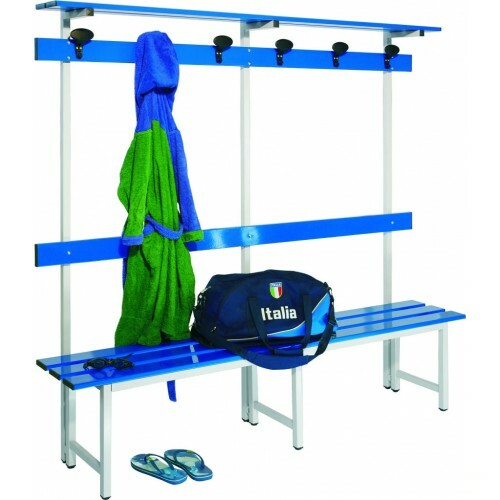 The exhibition dellle dressing areas always involves the combination of the lockers and dressing benches. The benches for changing rooms are made of painted metal structure of gray color and are placed on fixed legs.